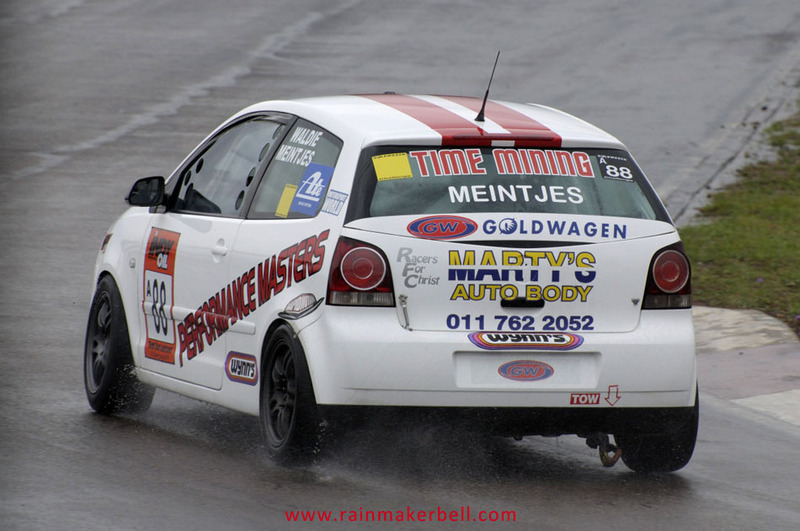 Growing up in Pretoria you come to expect regular late afternoon thundershowers during the summer period—staatsdiens reën (public rain) the locals call it. 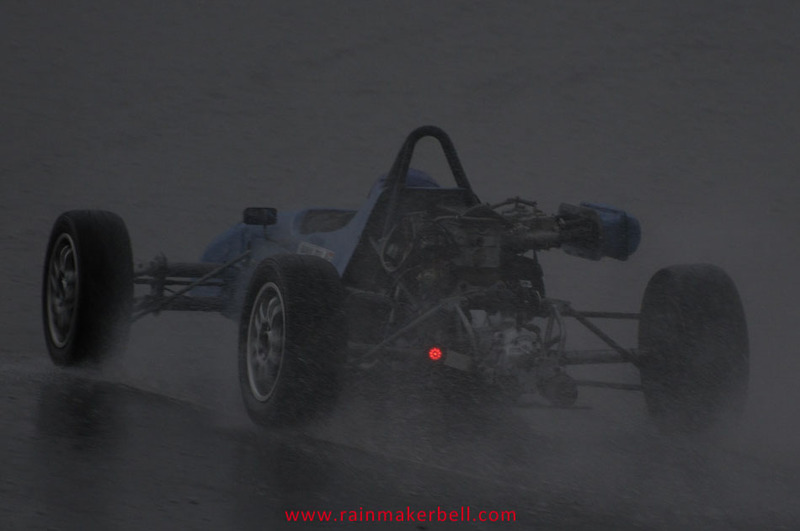 Occasionally these quick showers turn into full-blown electrical storms, turning the Jacaranda City eerily dark with lightning fingers cutting through ominous clouds; the clouds in return exclaiming their pain by letting out bloodcurdling thunder. 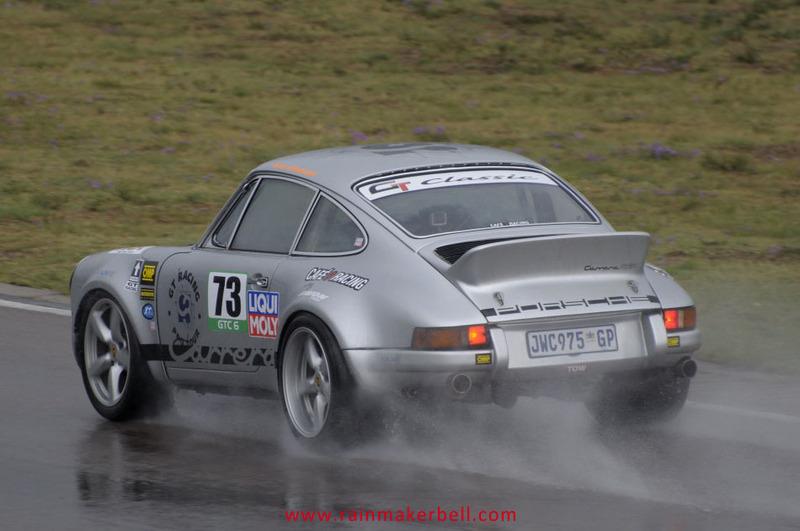 What greeted us on Friday morning was not normal—dark, low clouds heavy with rain! 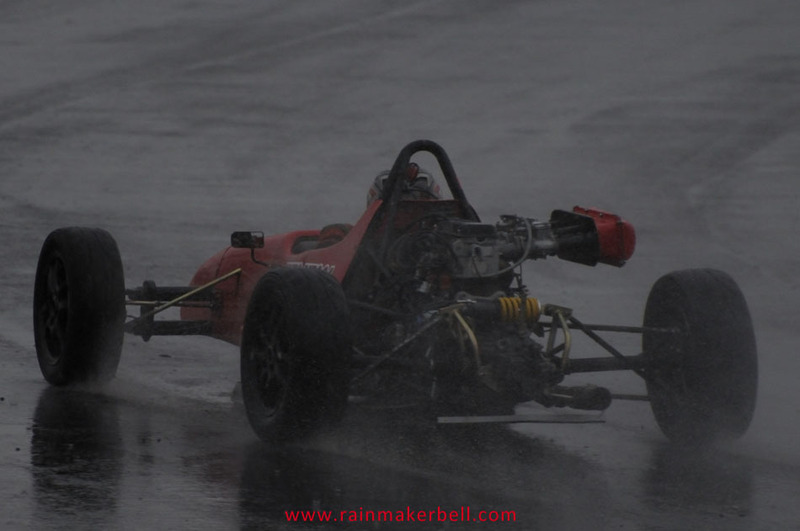 This was not what I’d ordered for my once in a blue moon slacker Friday. 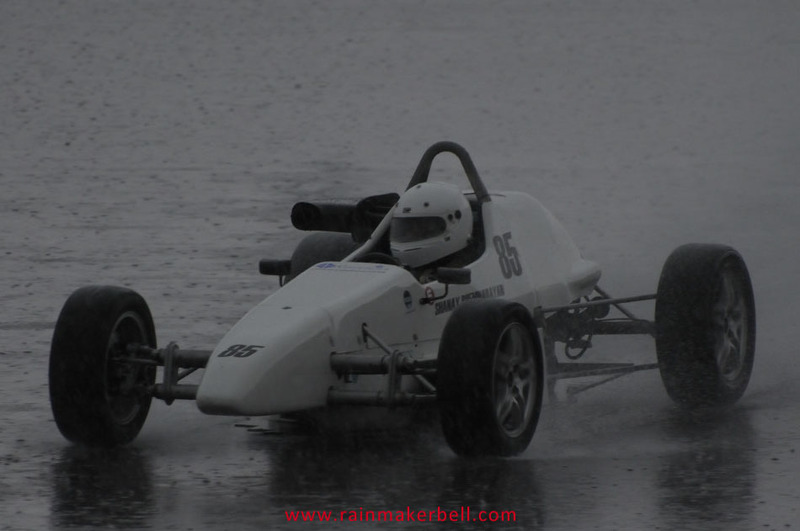 I wanted sun, fun and loads of racetrack action. 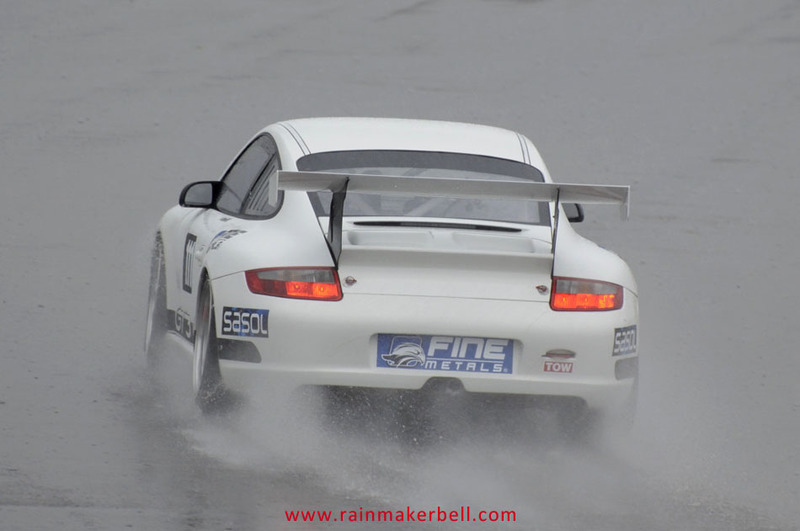 It’s Raining Men—why I always think of the Weather Girls’ song when it pours is beyond my understanding—maybe I can’t fathom cats and dogs falling from the sky—but it came to mind again. 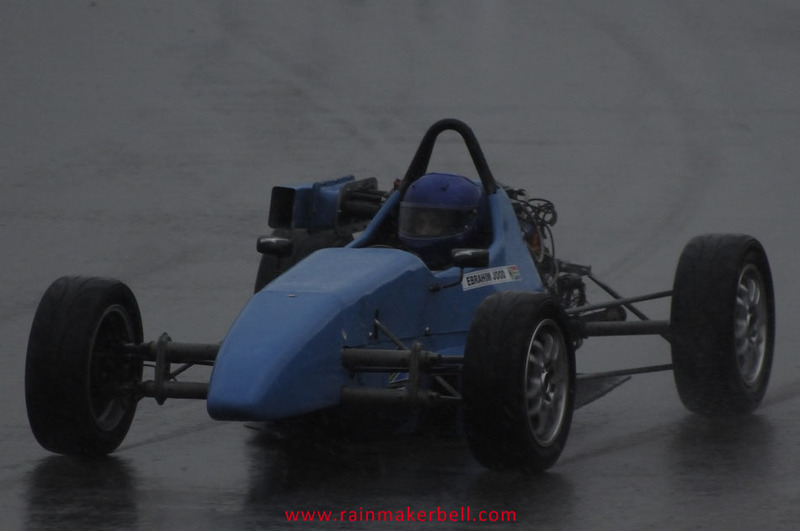 Well this time Mother Nature screwed up I thought as the first fat raindrop fell on my head. 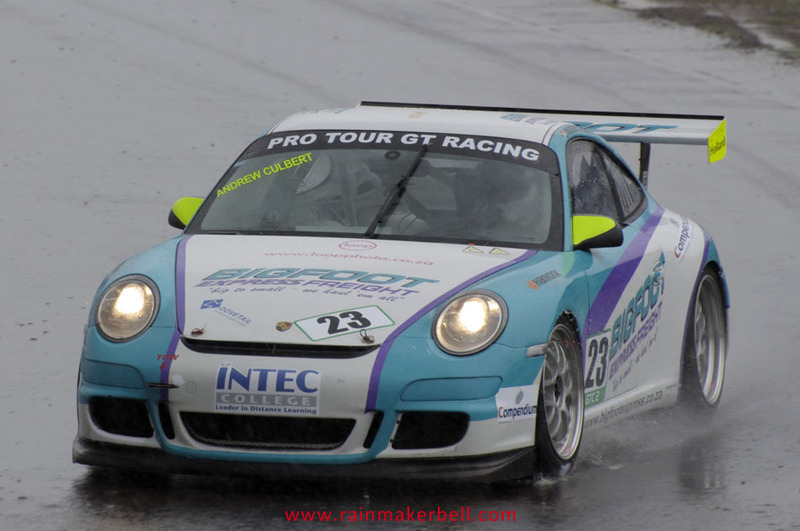 Only the boldest of the Kawazaki Masters Cup riders came out to play in the rain, but is wasn’t long before the heavenly floodgates opened up, forcing them back (in record breaking times) to the safety of the pit complex and me to the nearest grandstand. 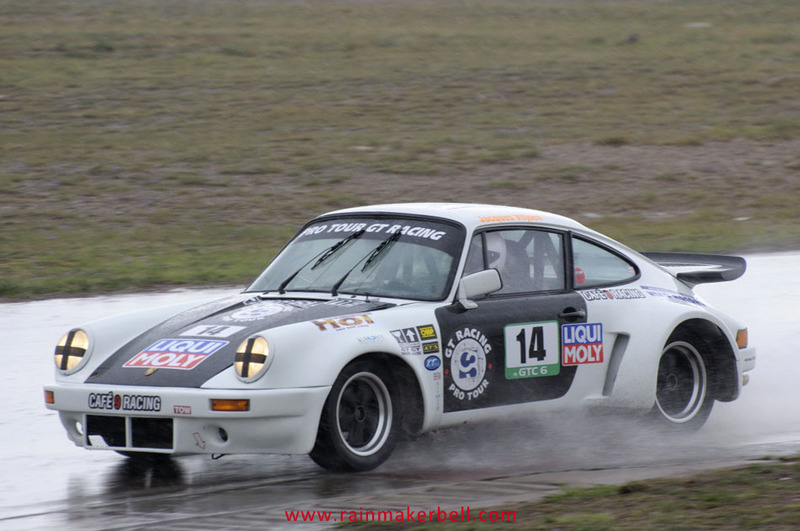 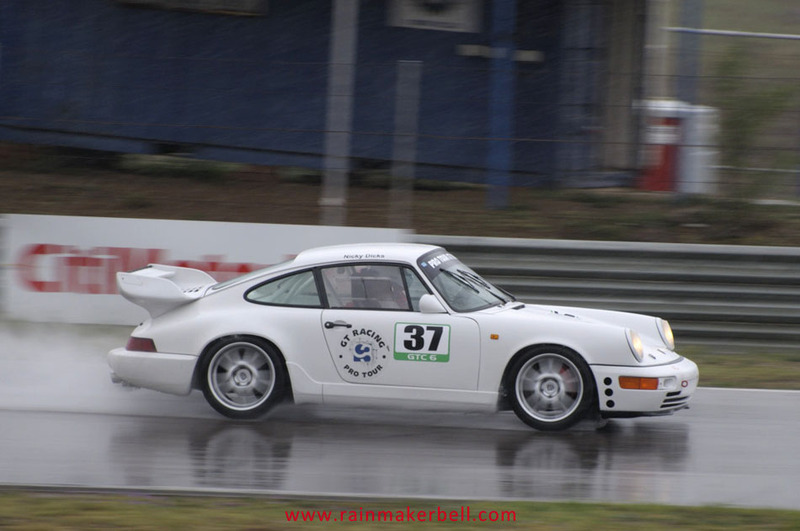 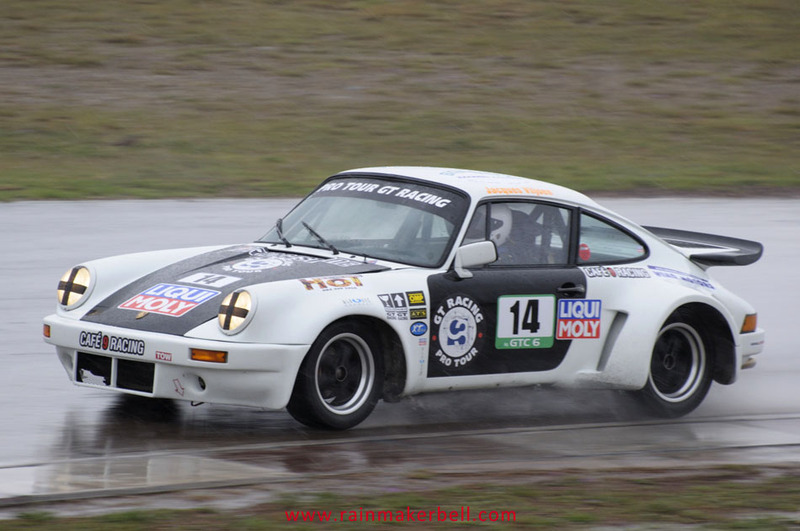 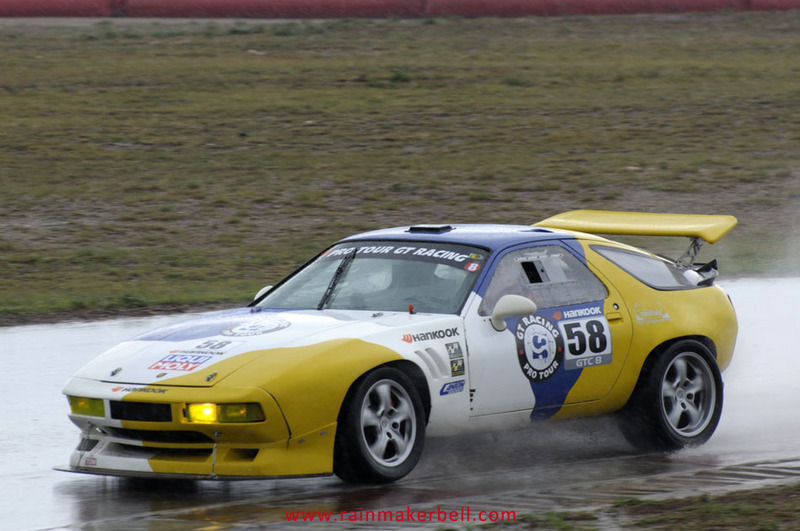 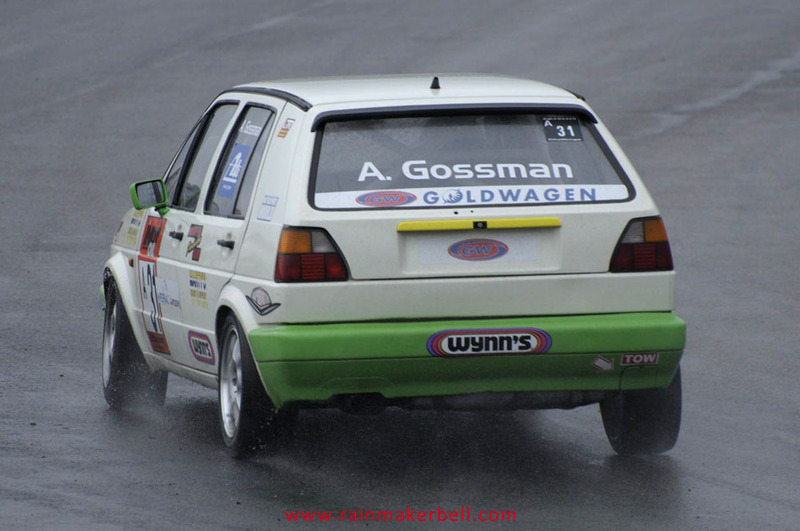 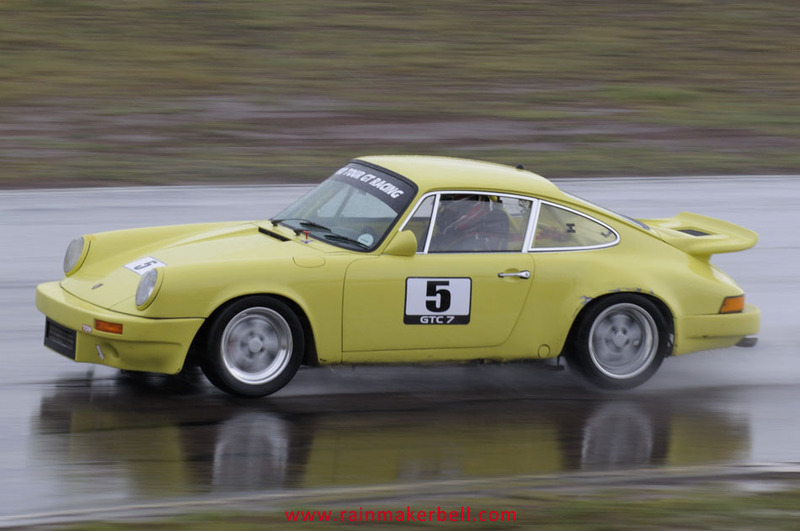 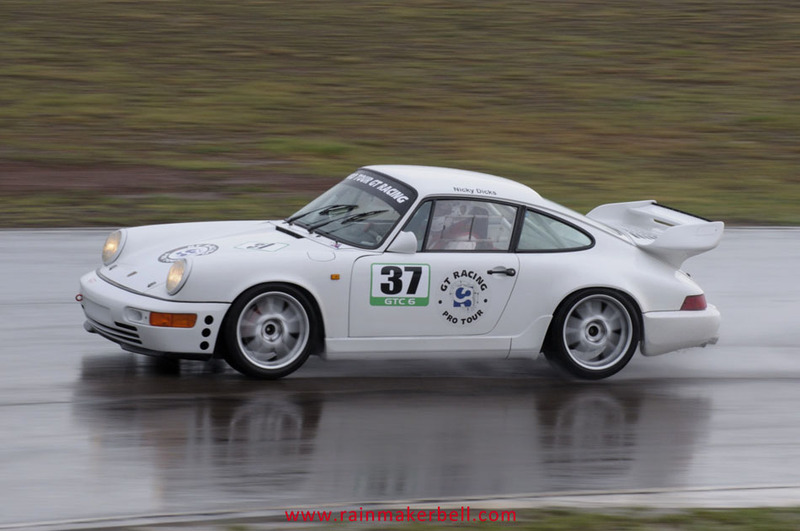 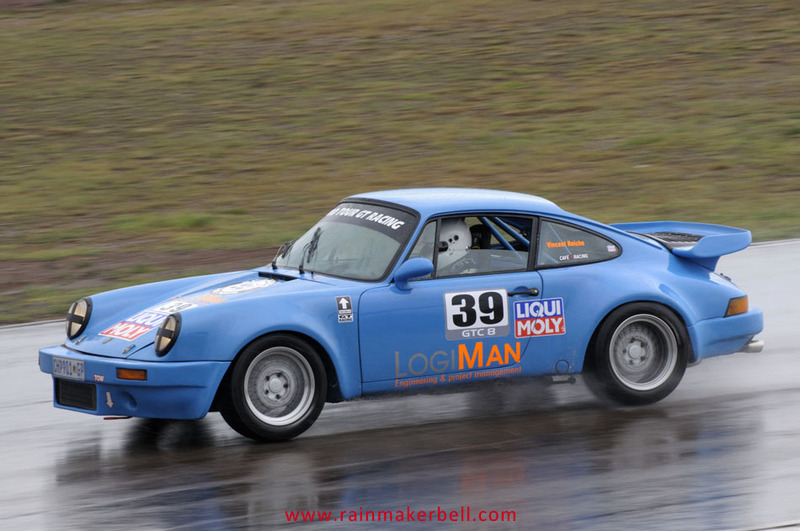 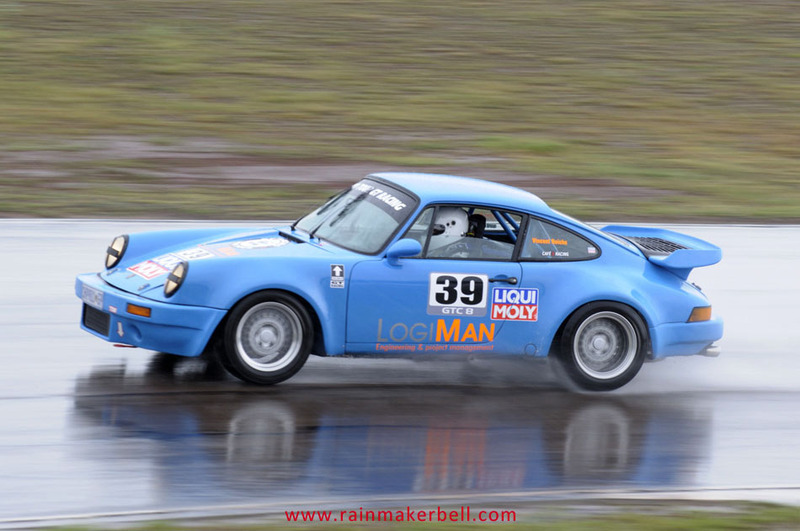 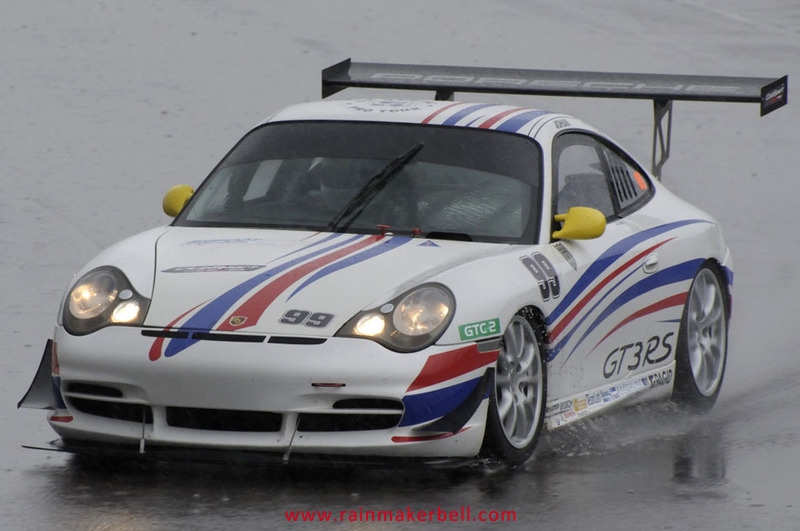 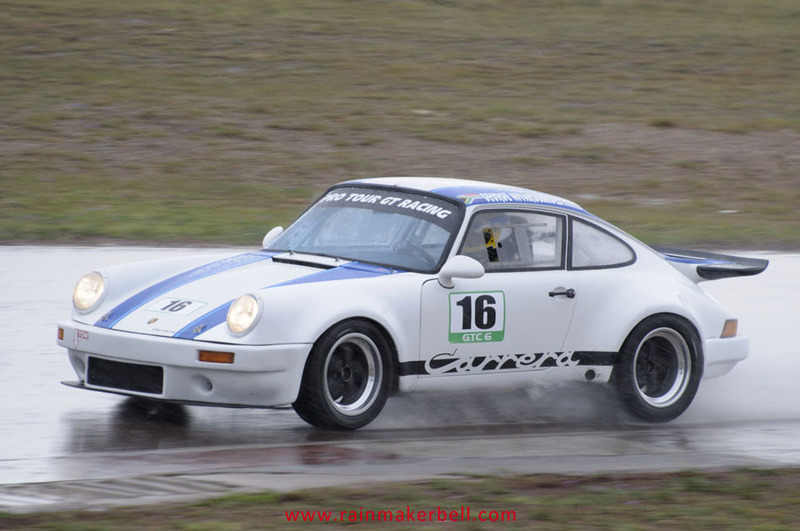 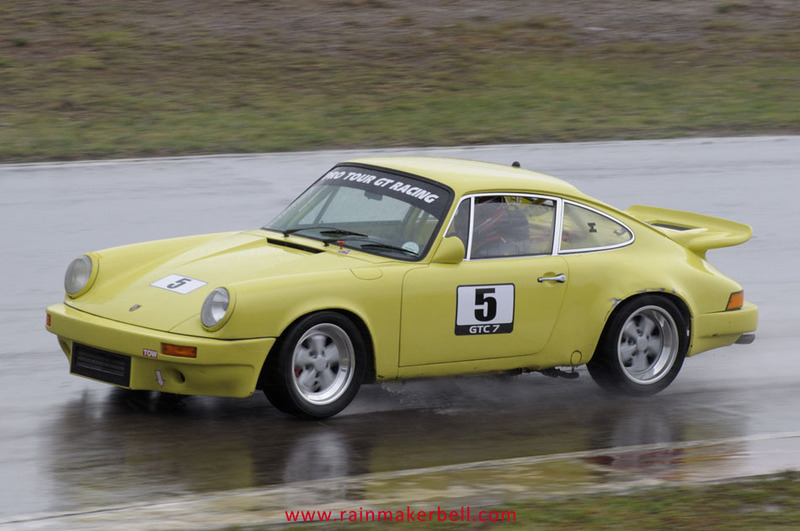 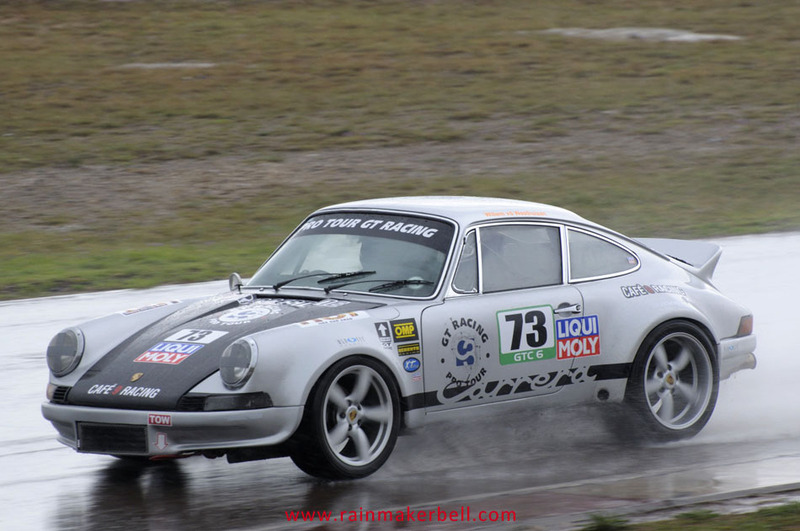 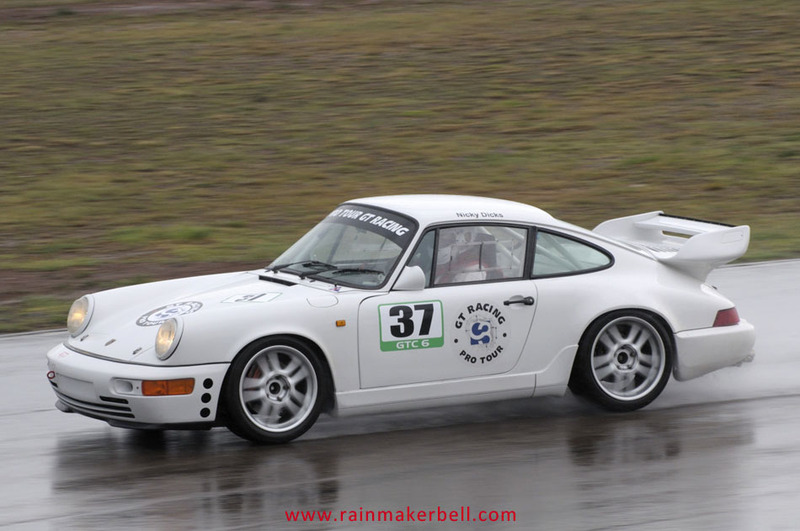 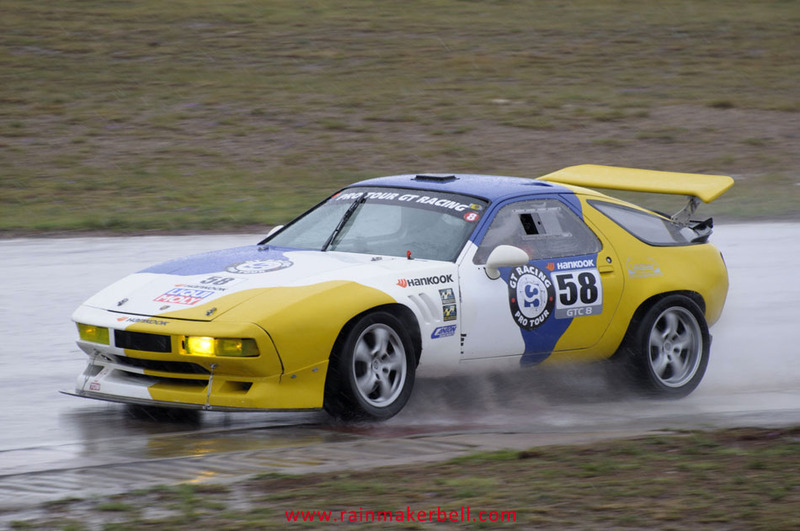 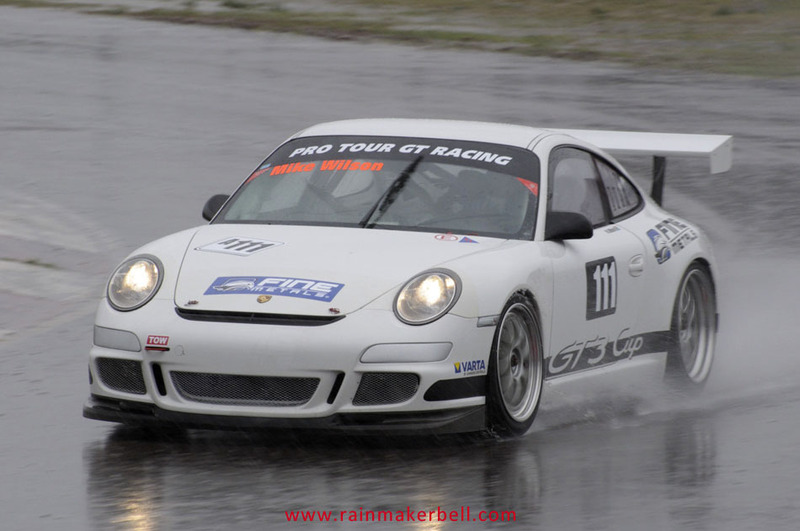 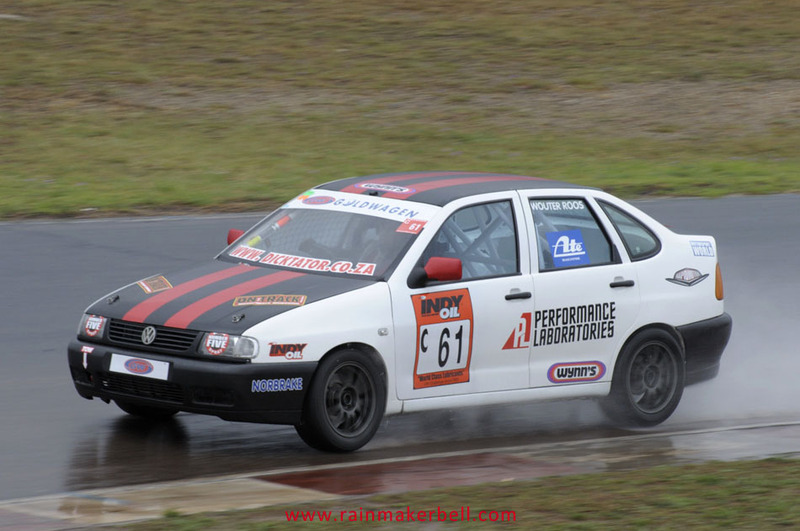 Braving the cold, the wind and the rain I was not disappointed when the GT Racing fraternity shrugged off the raindrops like (buckets of) water off a duck’s back. 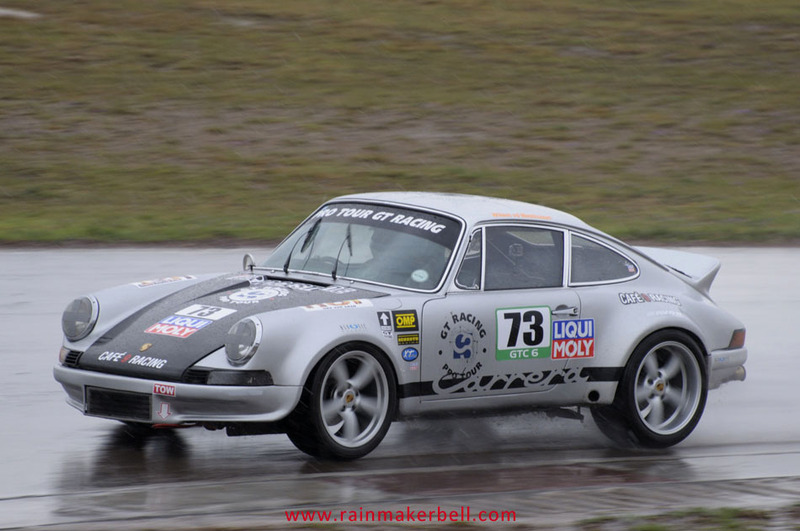 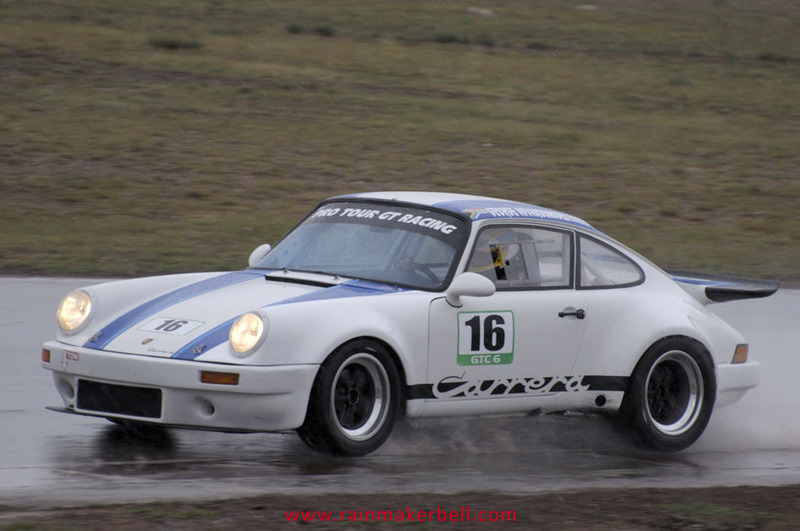 By the time the (few) brave hearts ventured out onto the slippery track, it had turned into a criss-cross of rivers, making for one of the most exciting (I guess) practice session. 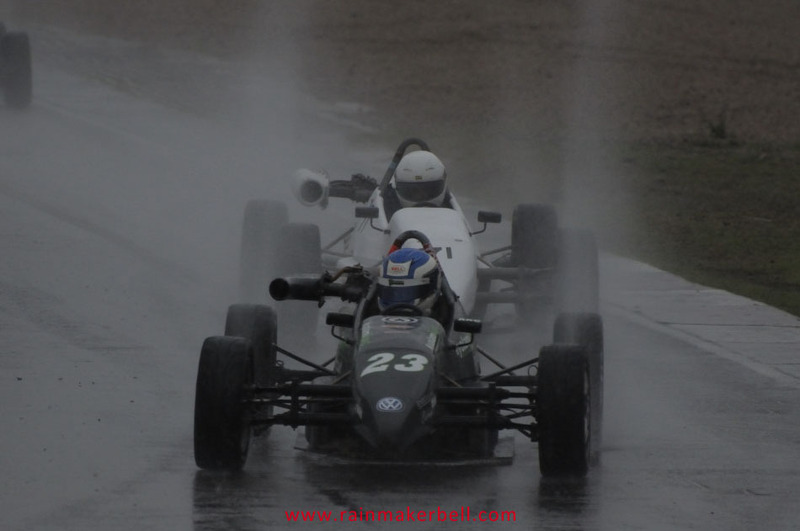 Not wanting to be left behind the Goldwagen drivers followed suit and shortly after them the Formula Vee. 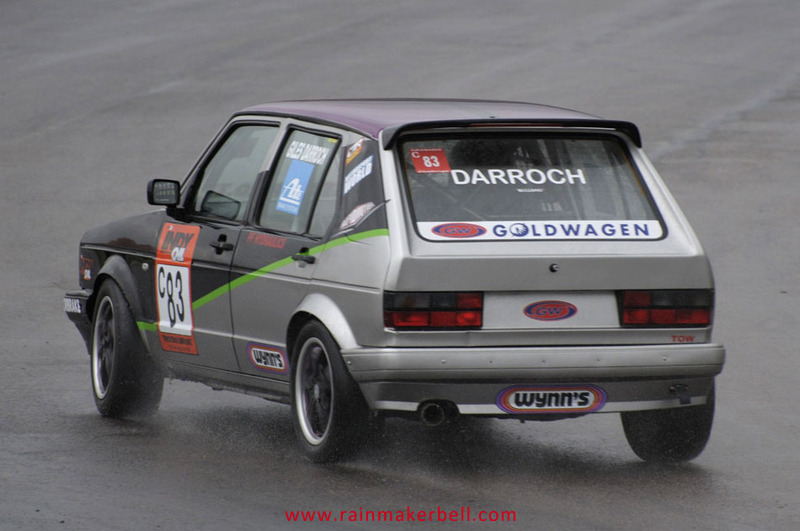 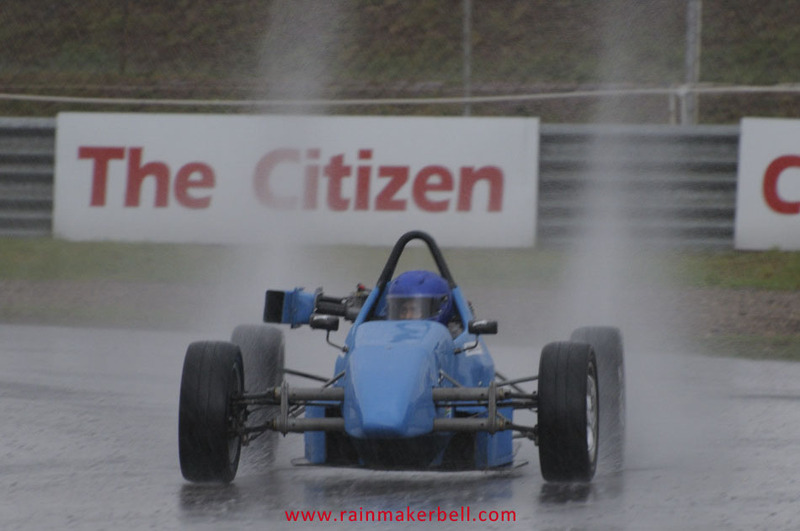 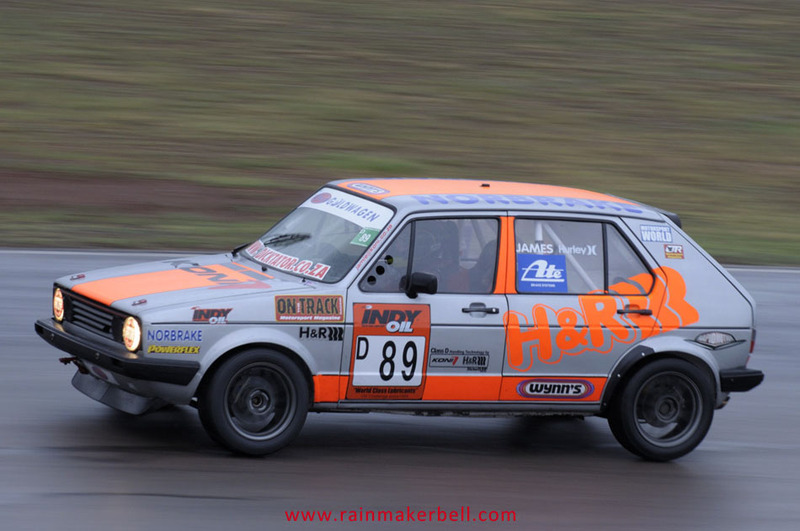 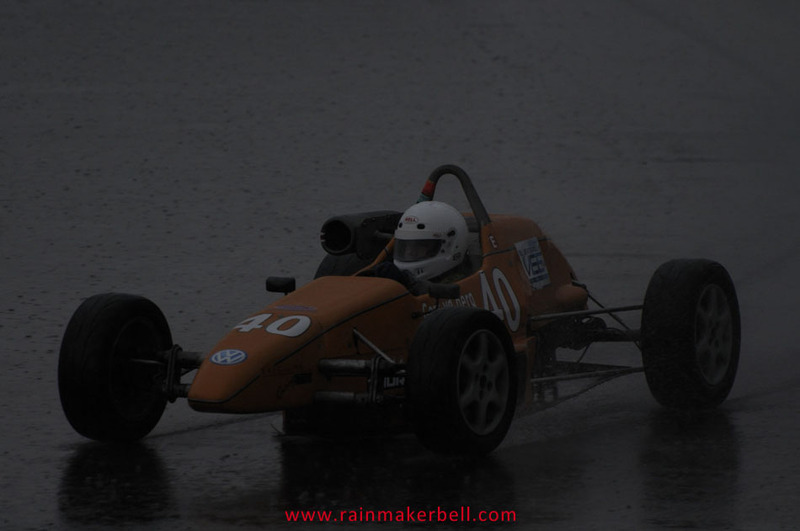 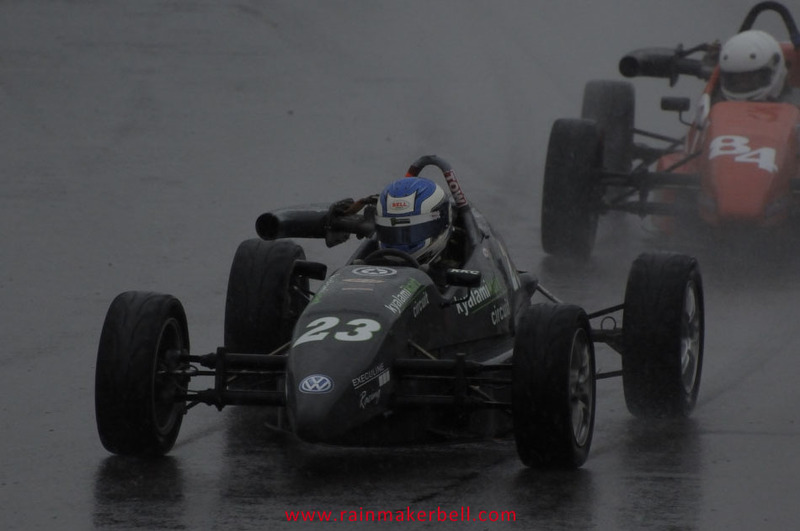 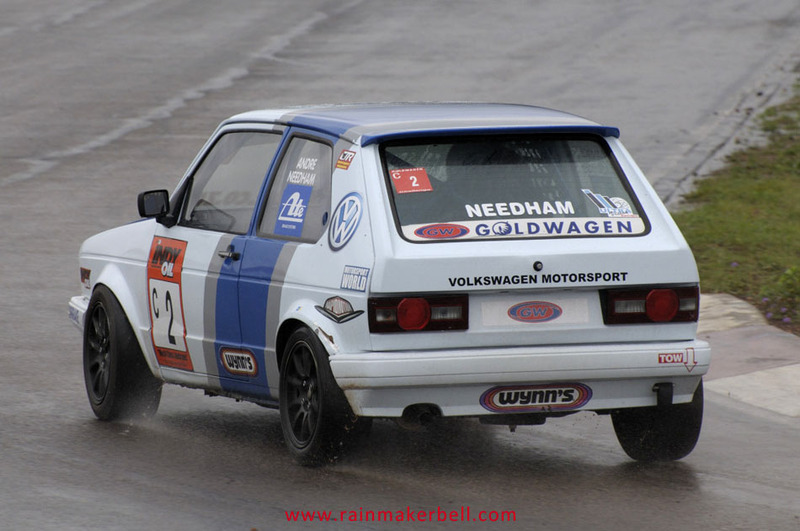 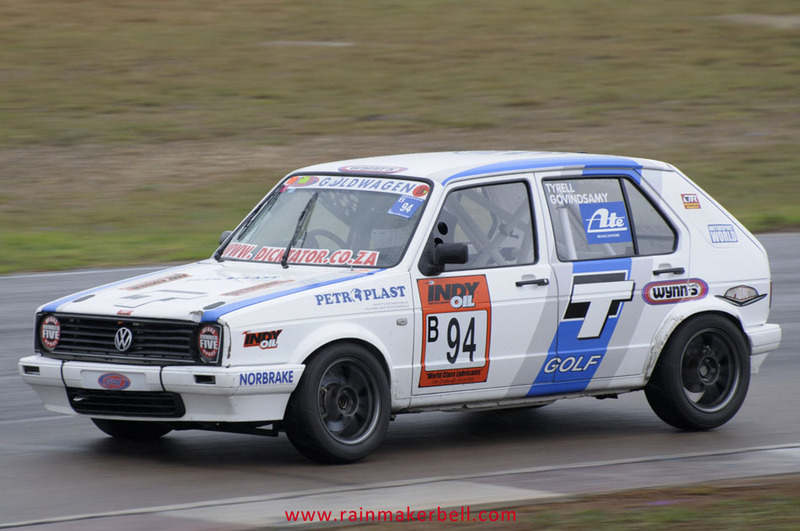 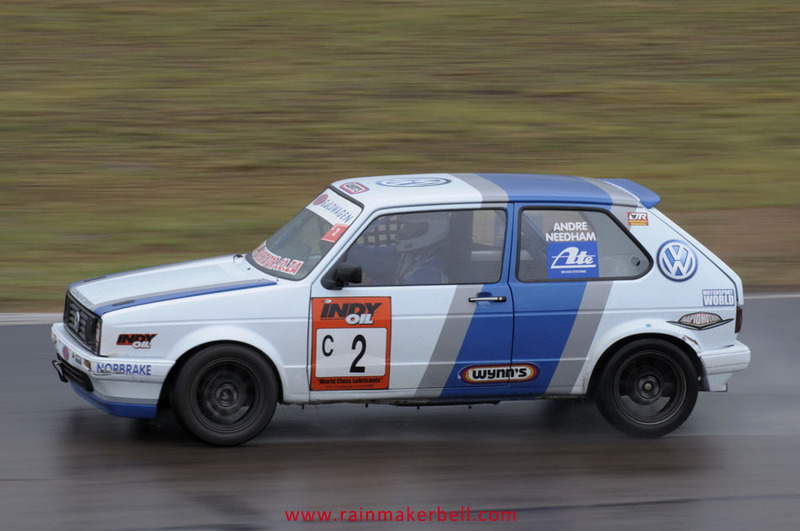 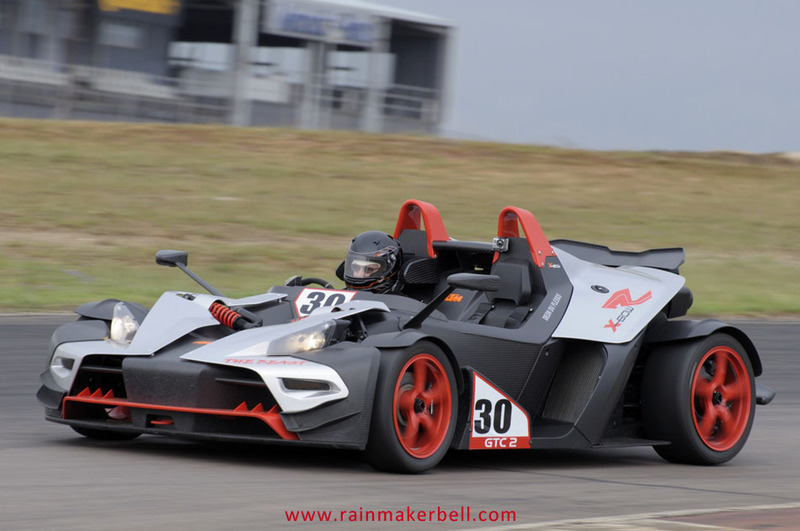 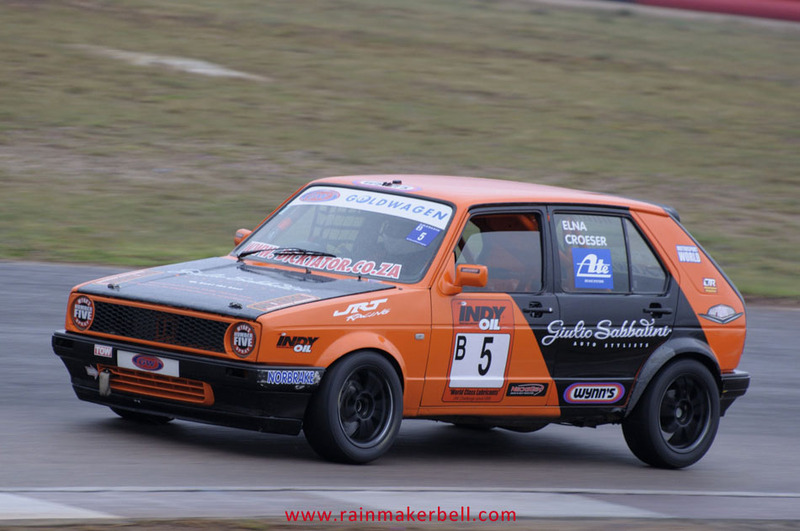 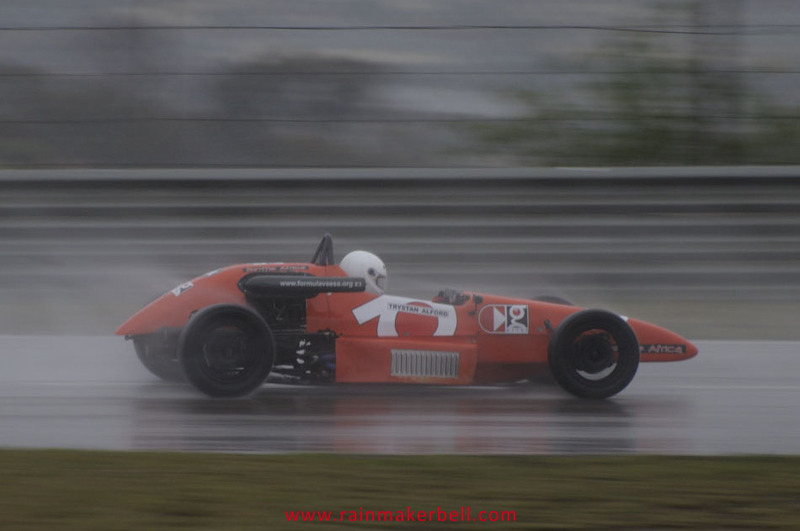 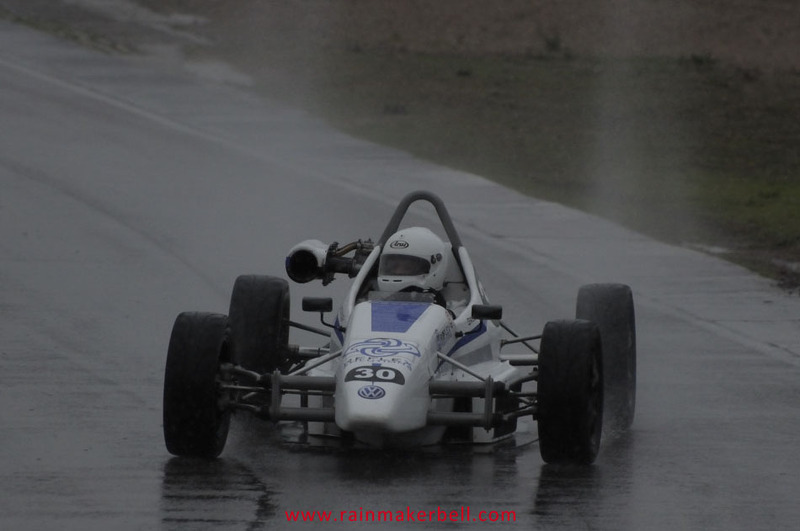 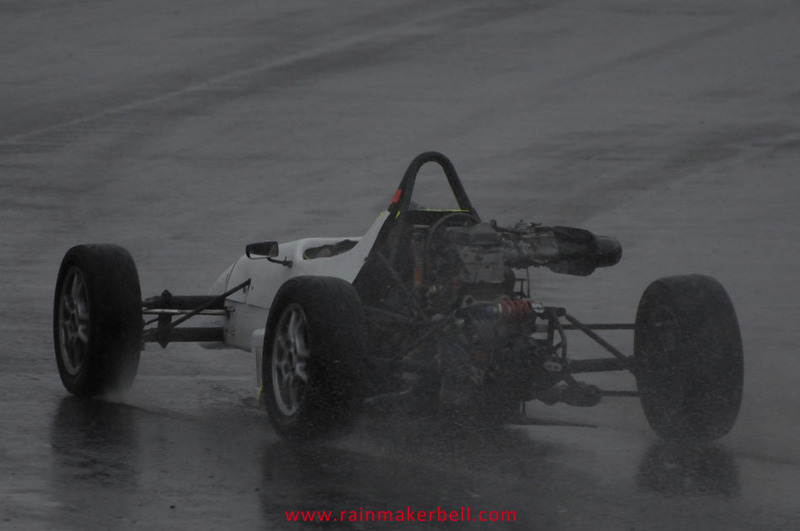 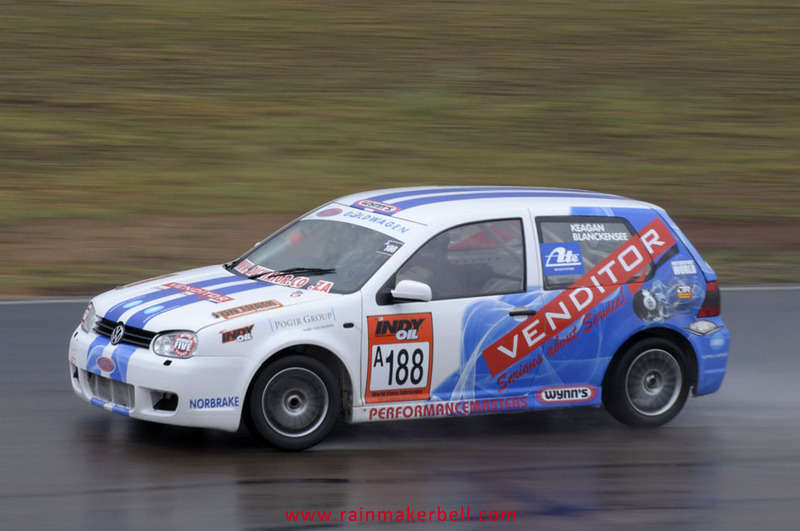 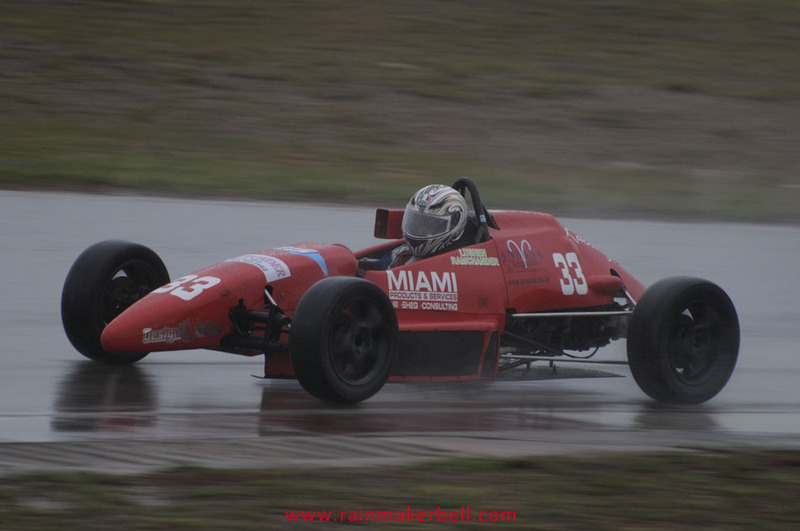 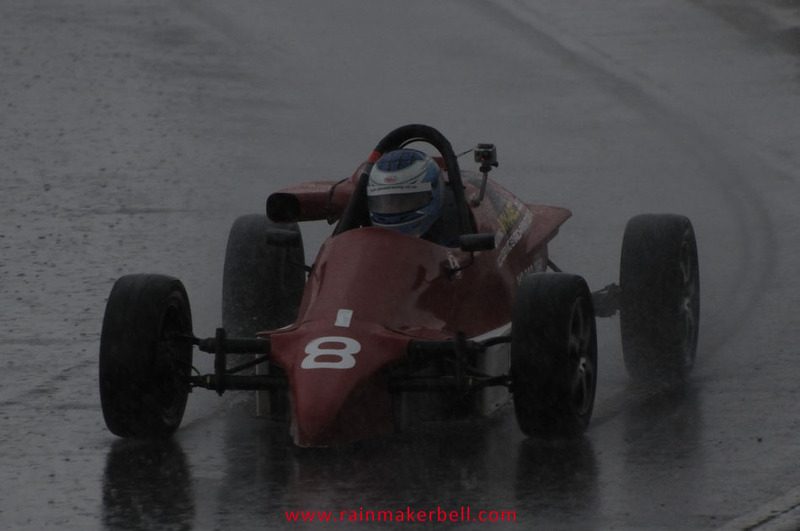 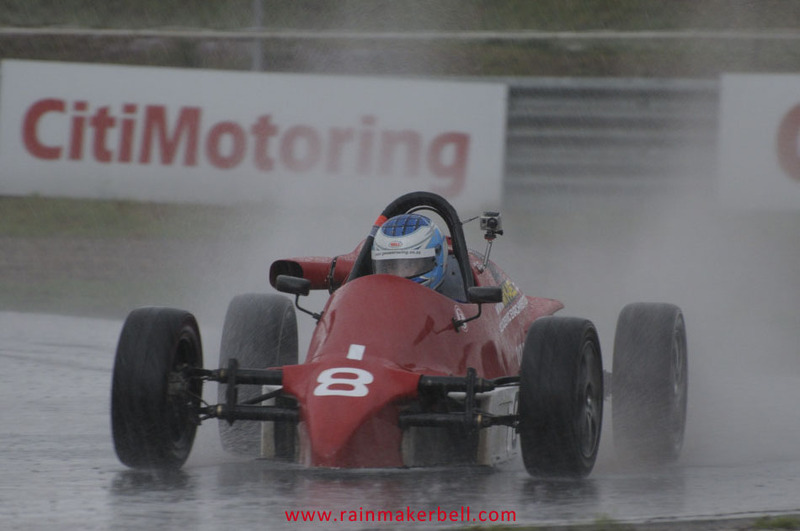 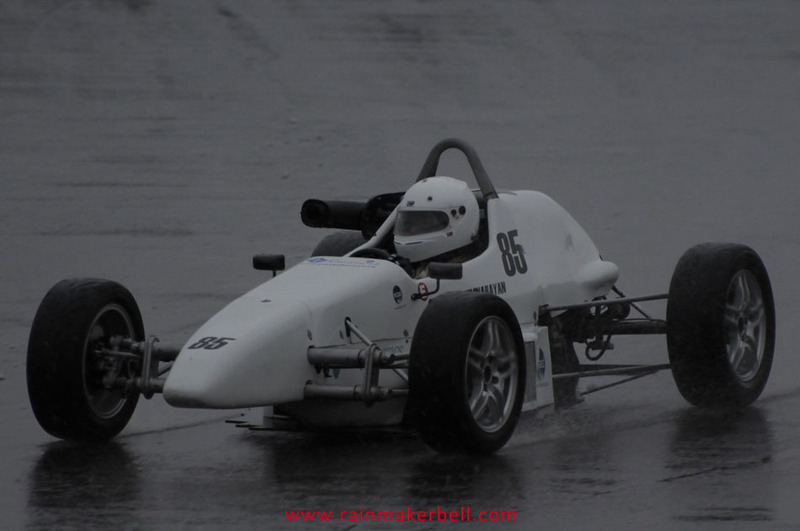 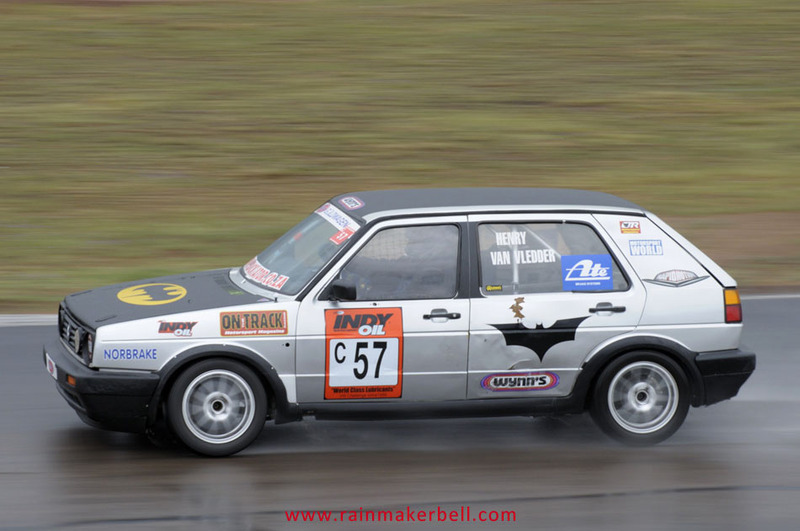 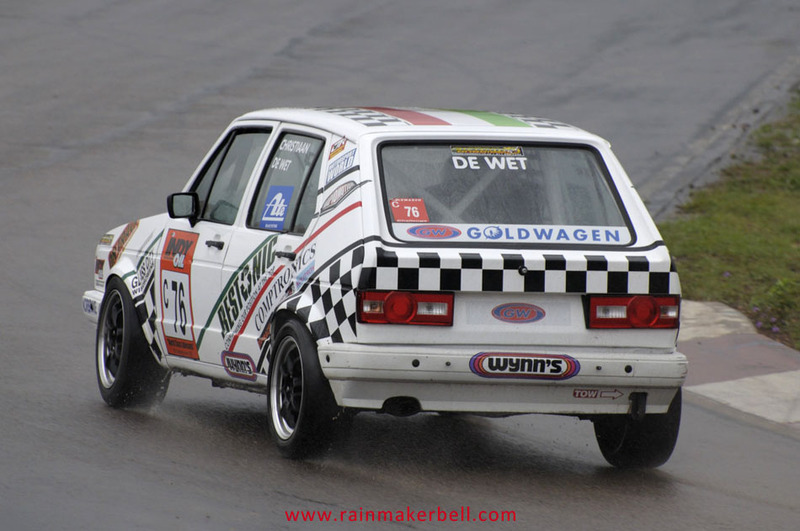 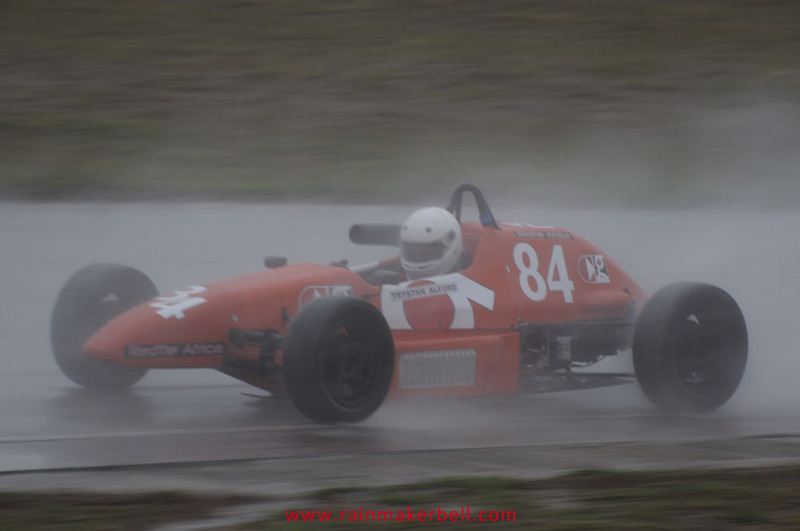 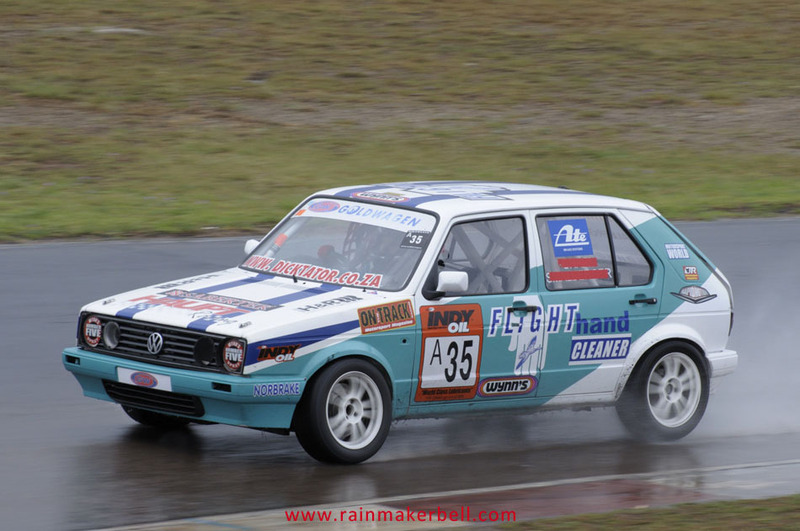 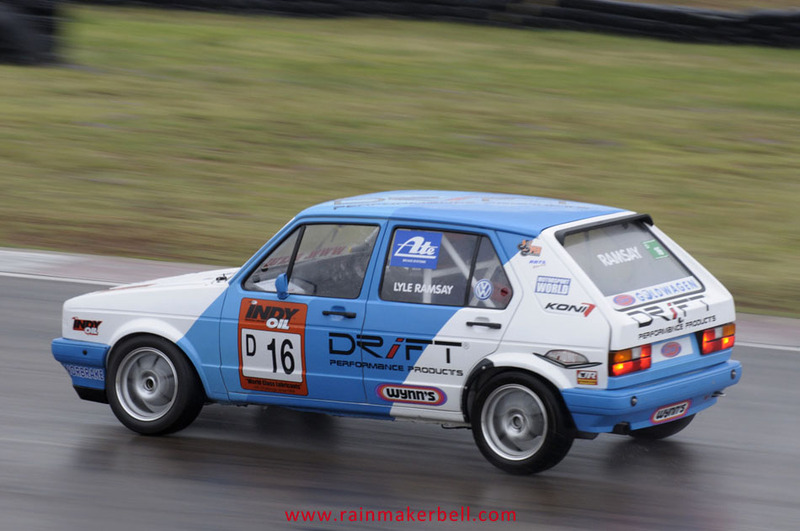 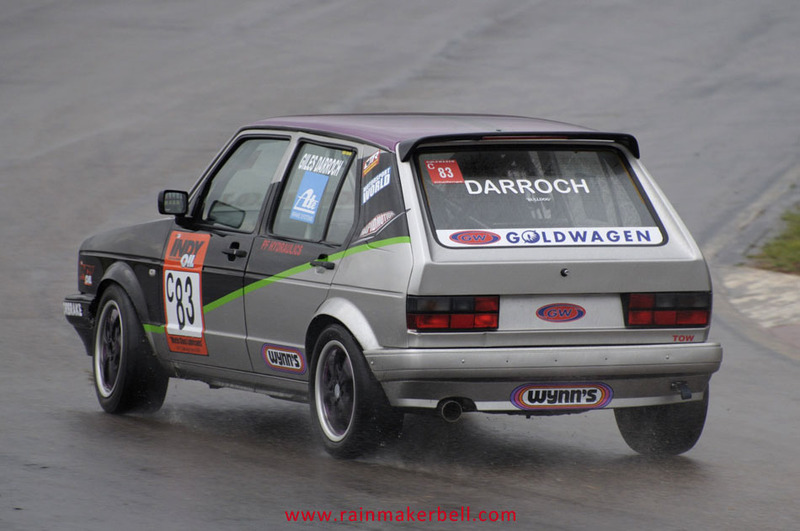 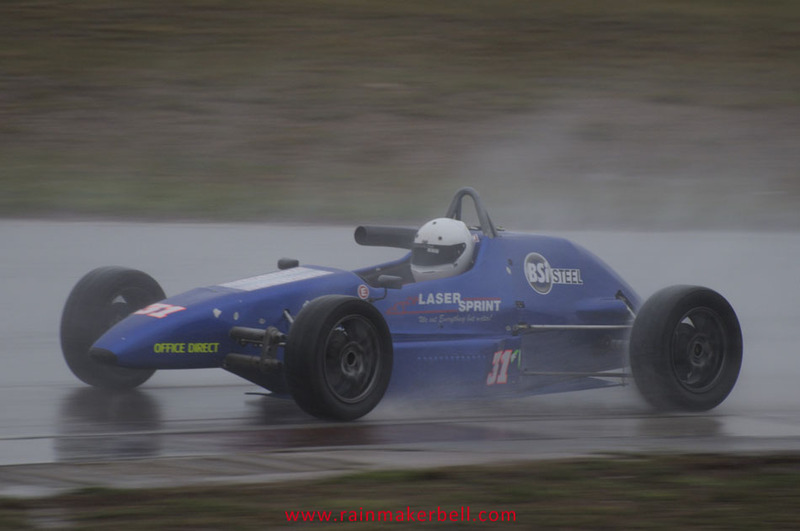 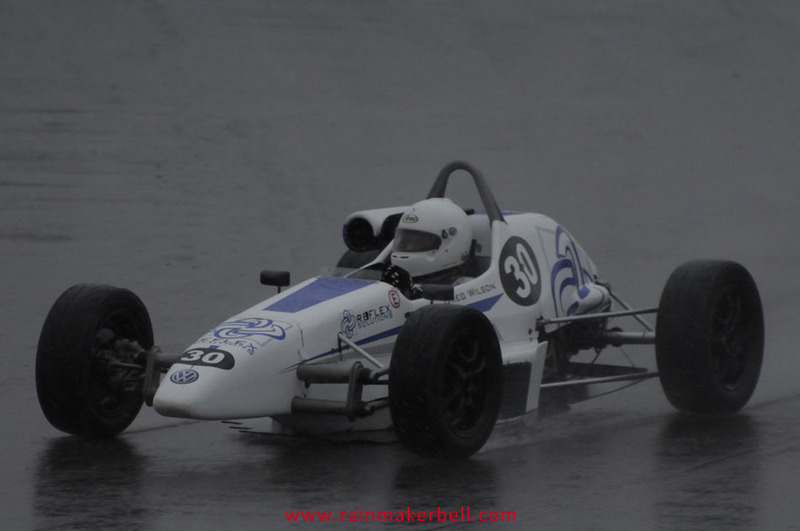 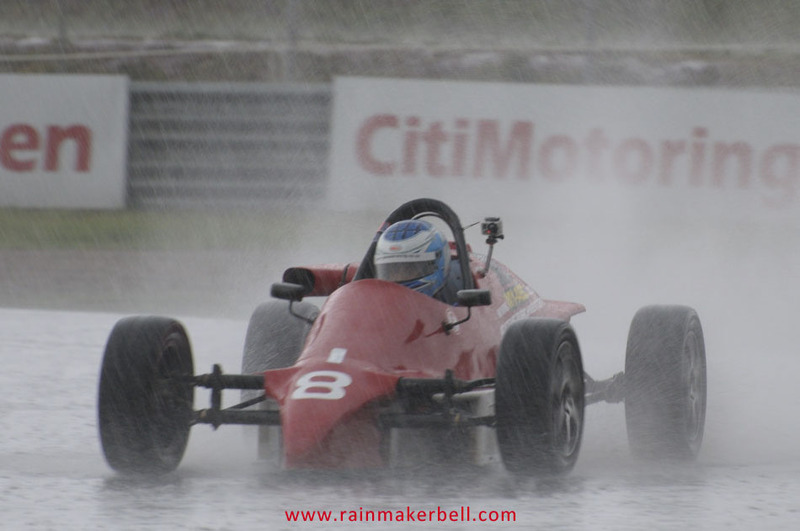 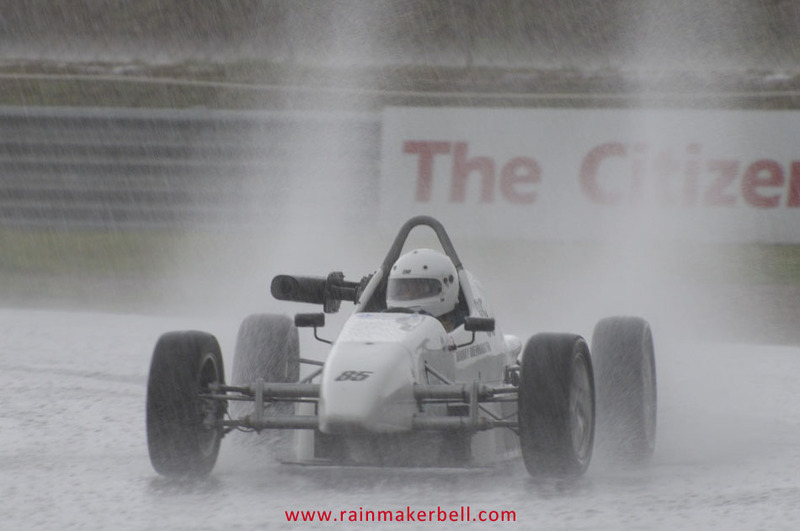 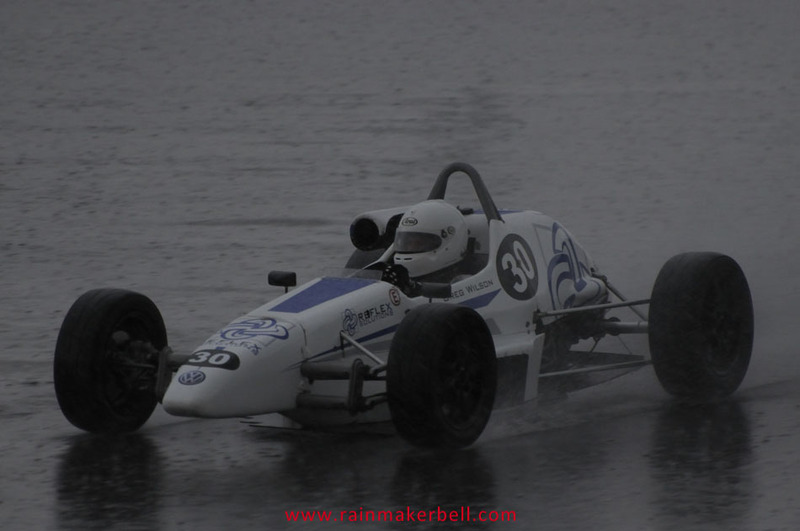 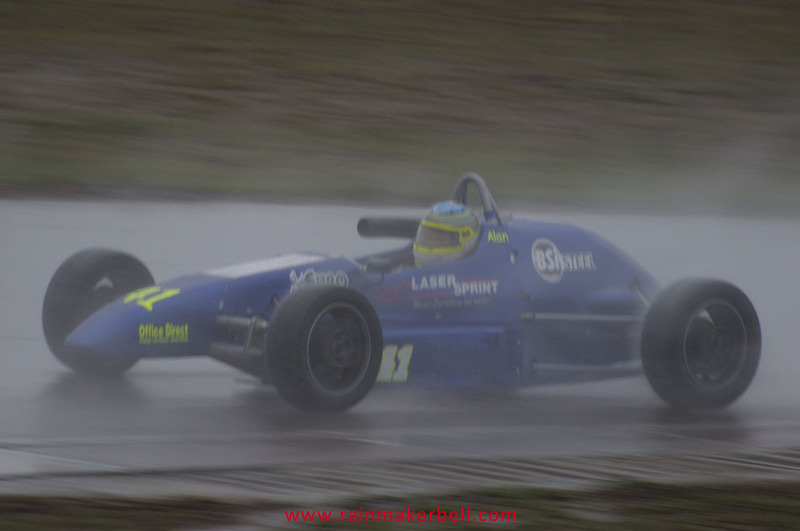 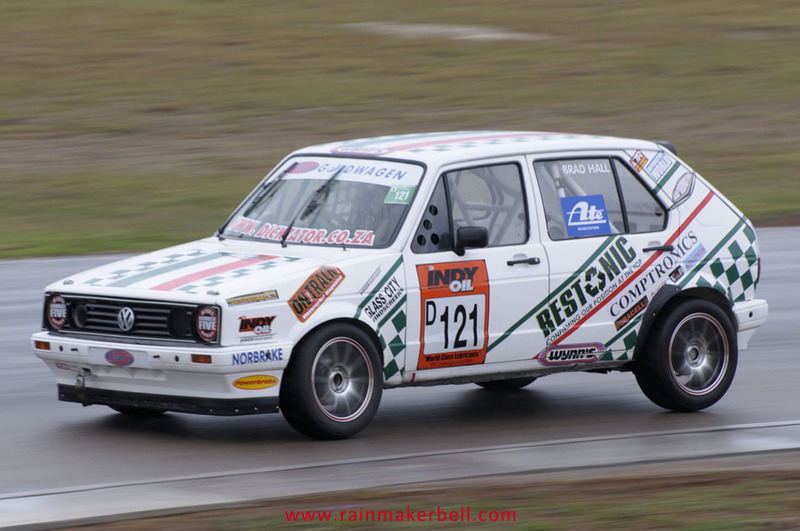 I have to confess that I am not a Formula Vee fan, but after seeing them perform in the down pour of all down pours I have developed loads of respect for them. 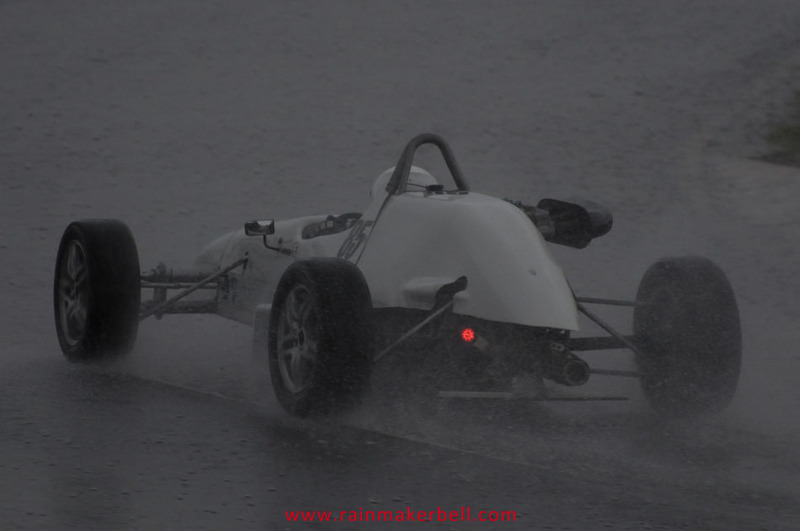 They don’t have roofs, wipers or lights and yet they faced the elements heads up, the only thing evident of their discomfort was the irritable wipe of the visor now and again. 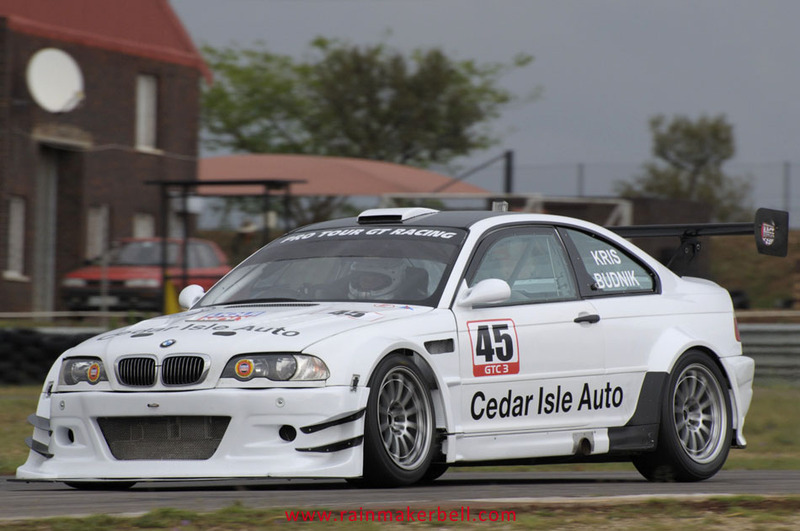 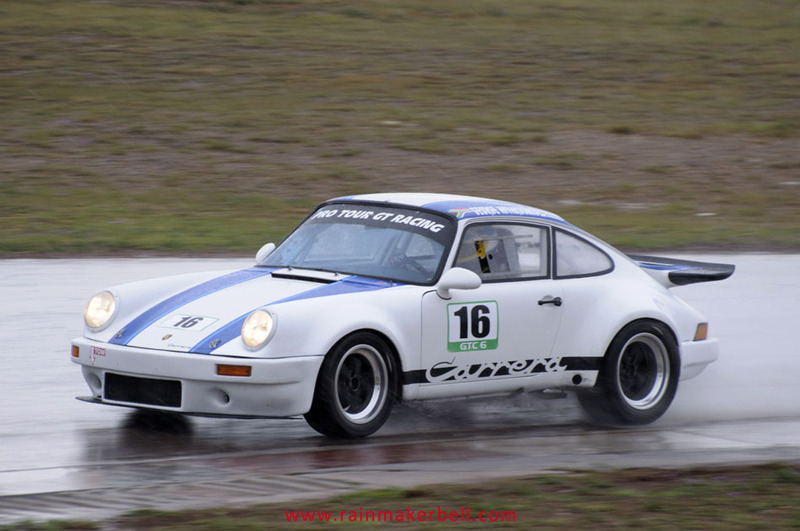 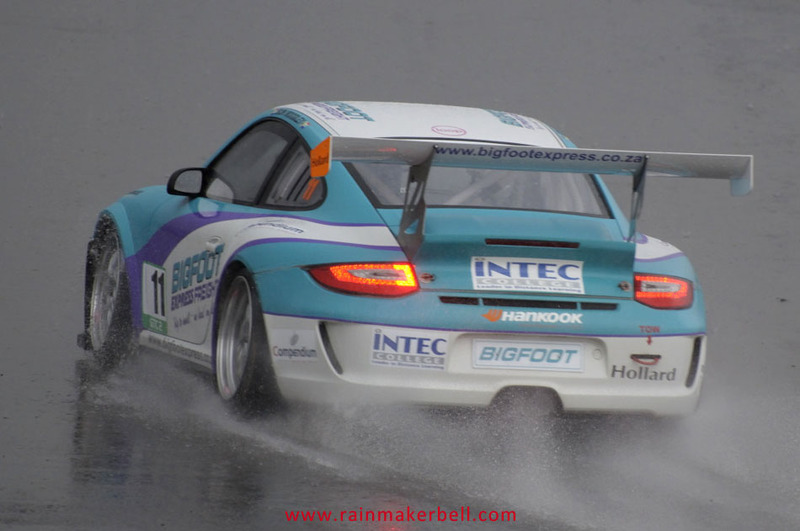 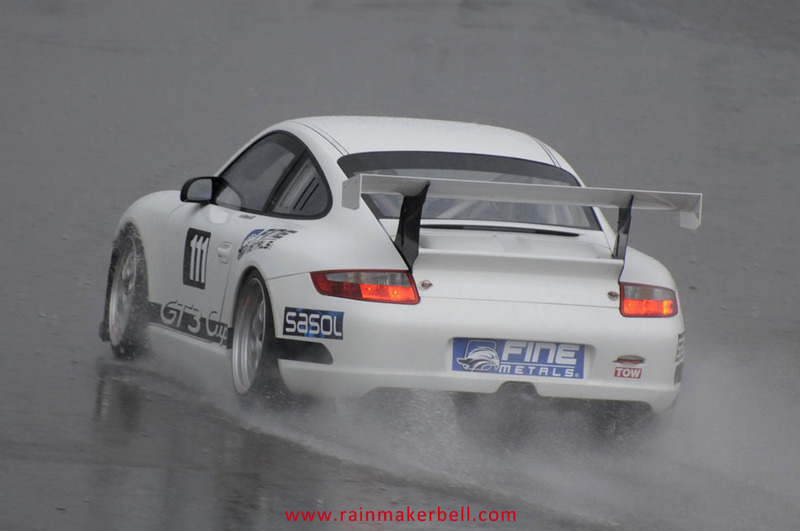 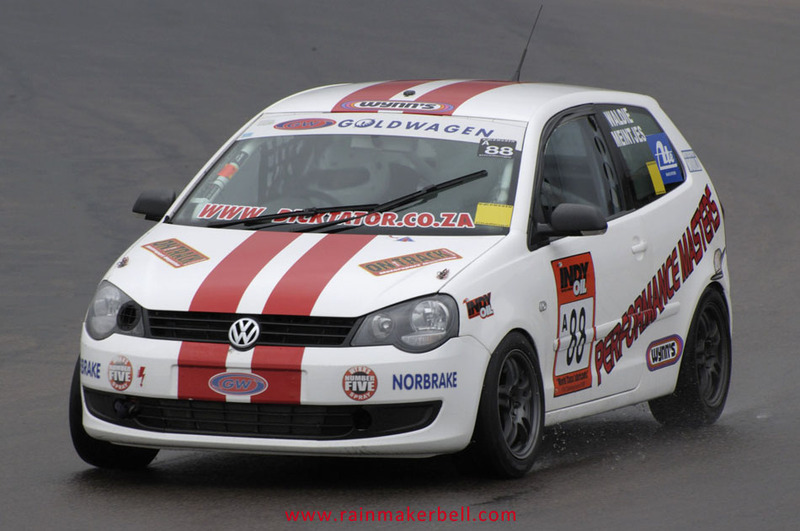 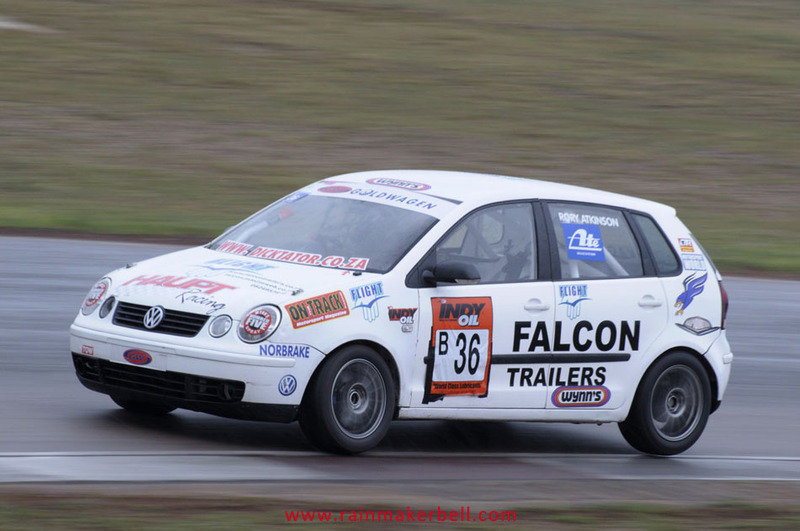 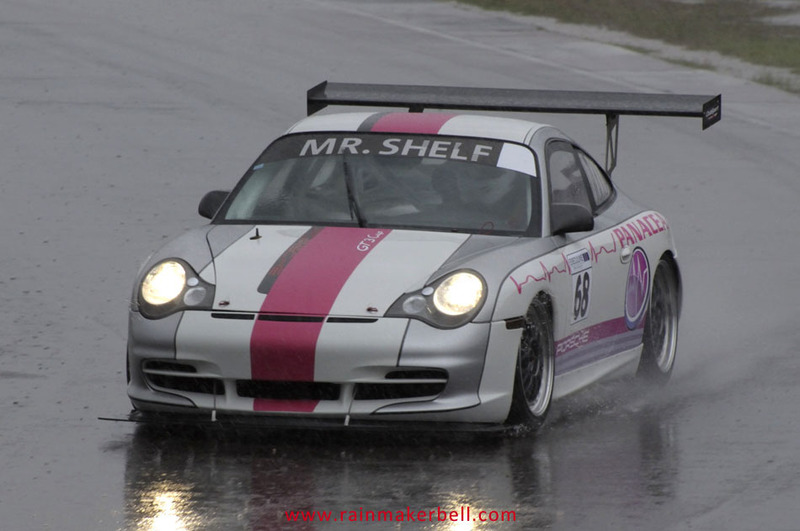 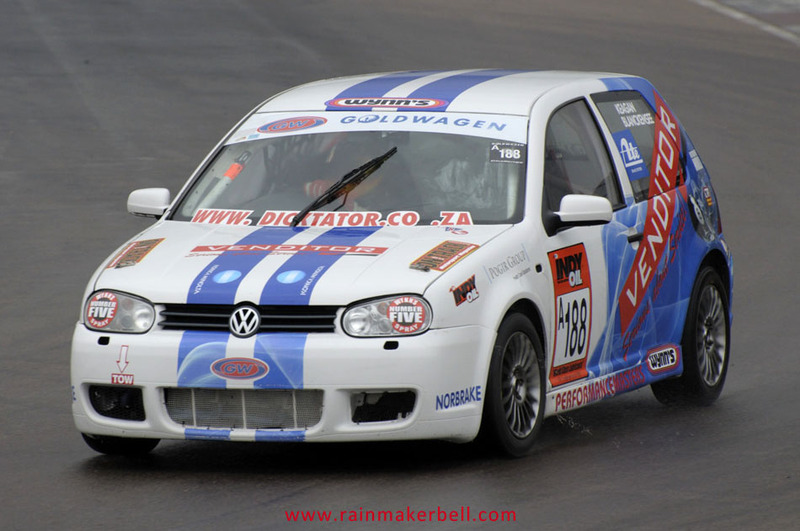 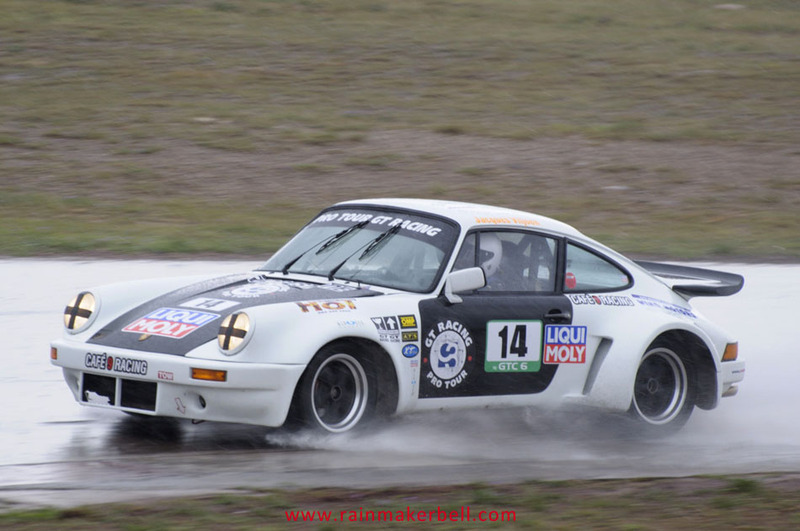 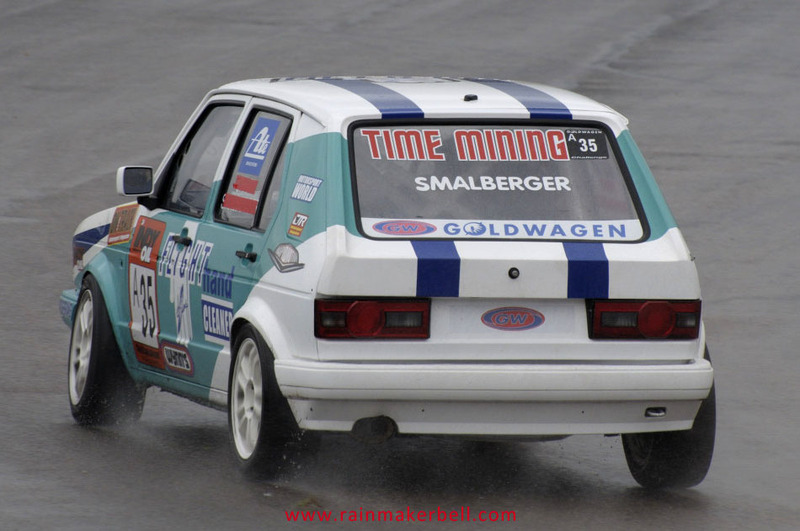 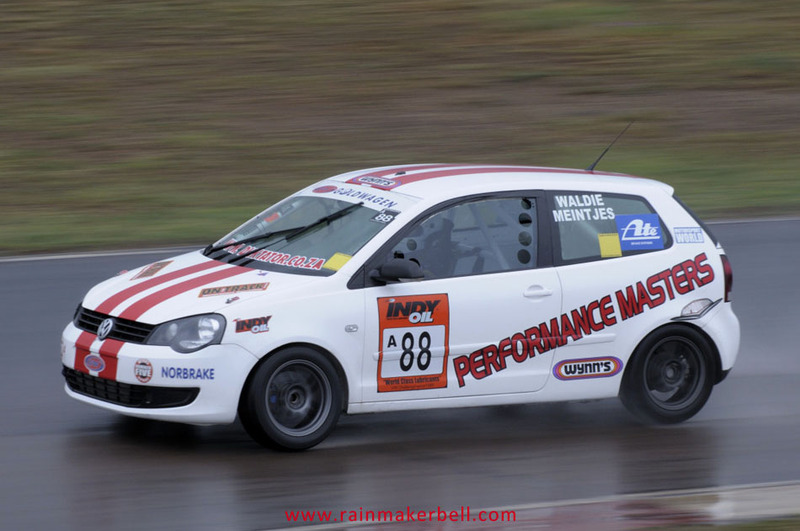 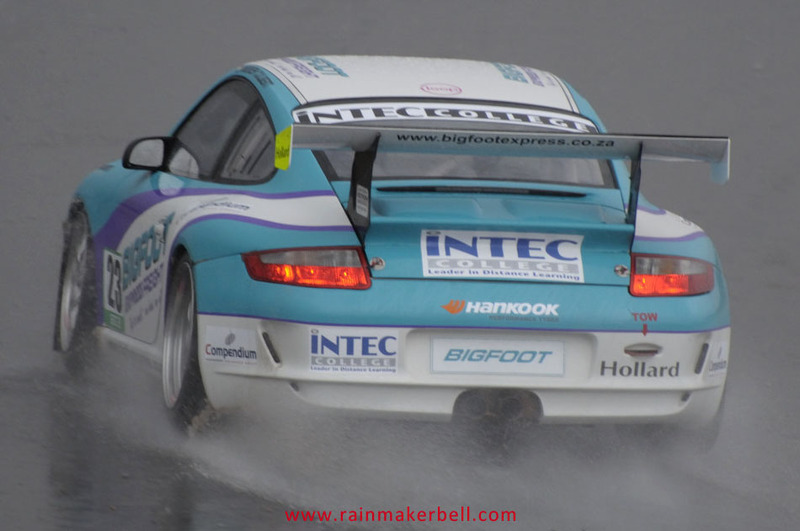 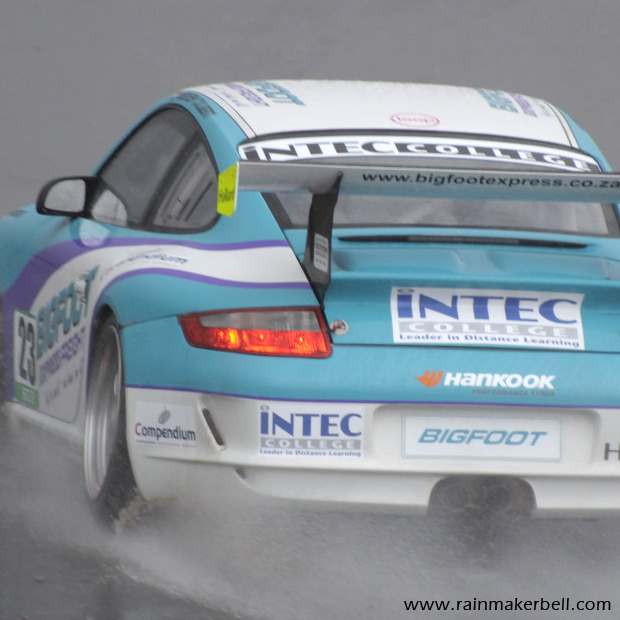 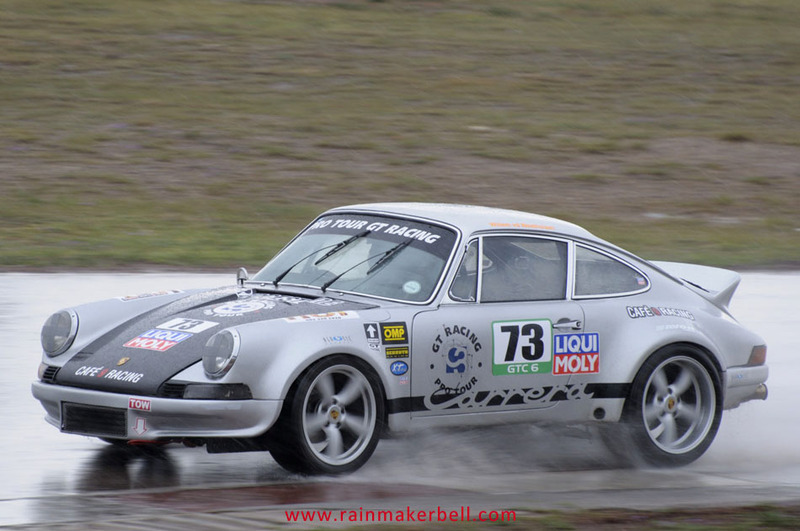 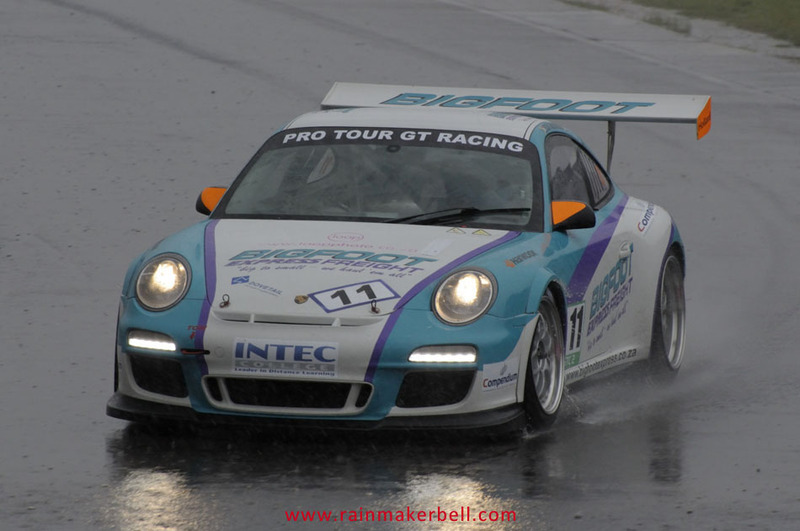 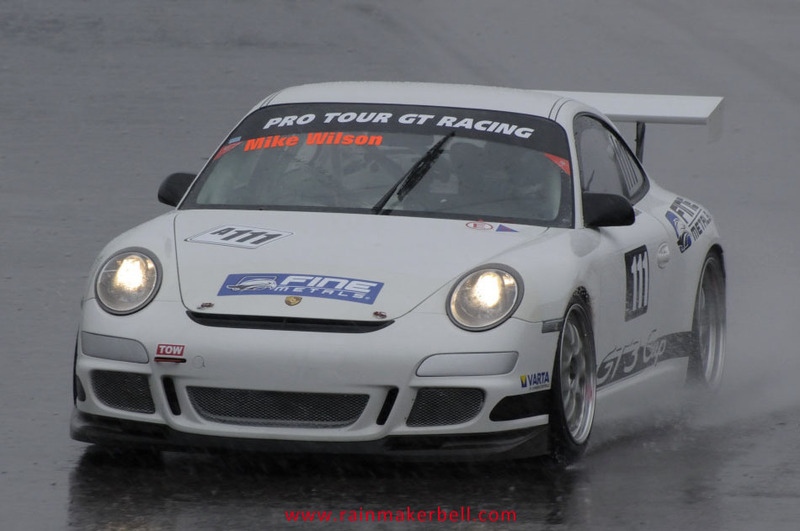 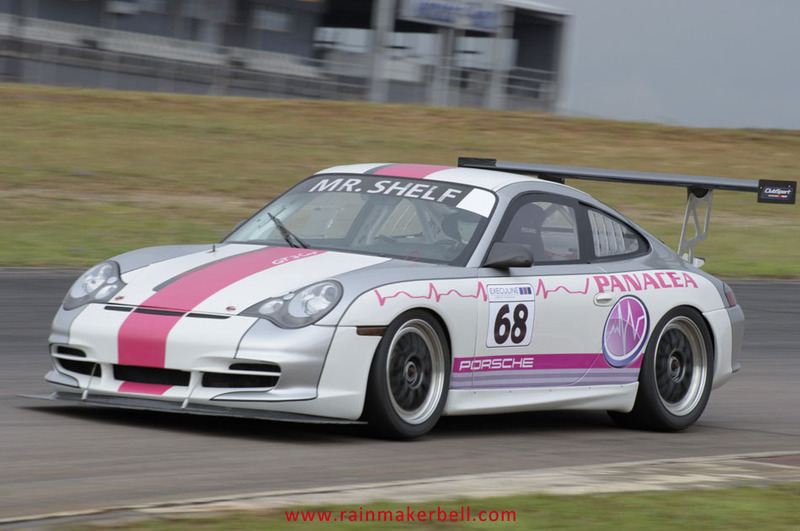 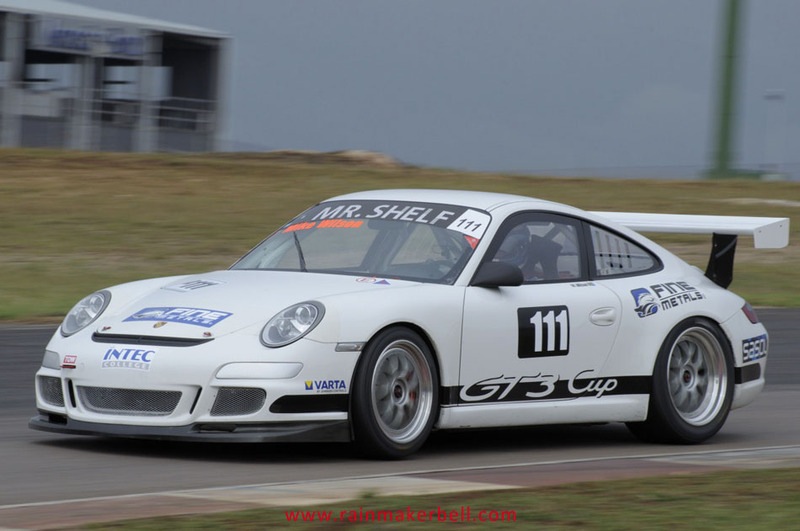 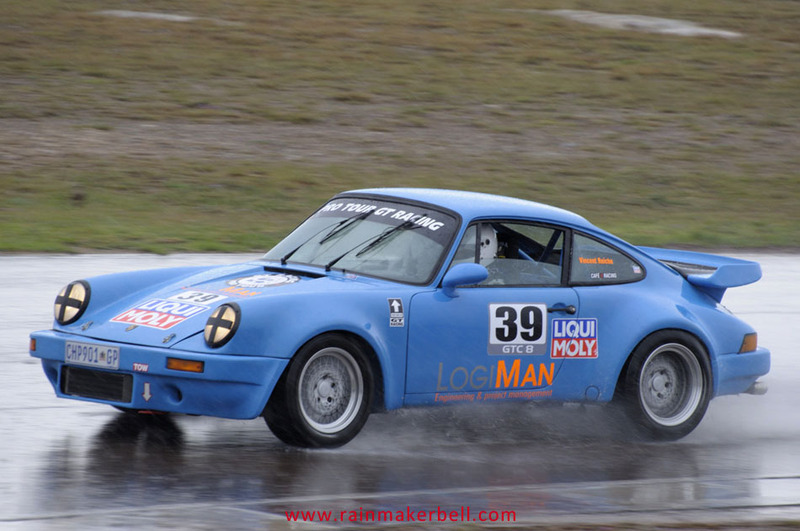 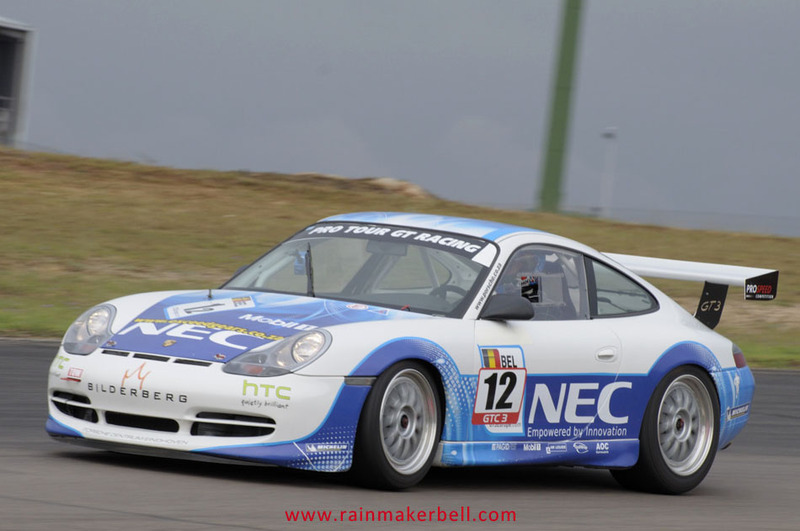 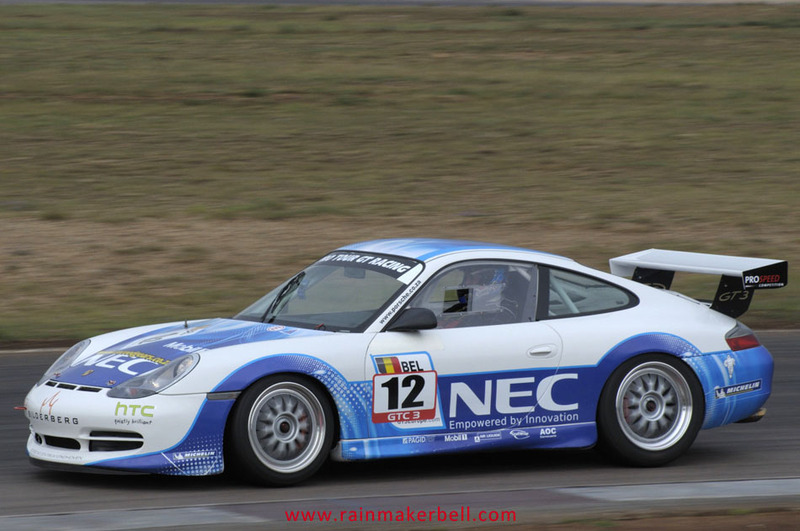 Words & Photos: Martine Venter (Pro Tour Series, Zwartkops Raceway, South African Motorsport, 2012/10/12, Practice Session, 84 images) Main Image: Andrew Culbert #23, Porsche 911 997 GT3 Cup, GT Challenge.